Cut chicken into one inch squares. Mix soy sauce, honey, vegetable oil, lime juice, and garlic in small bowl. Place the chicken breasts in gallon sized bag and let marinate in the sauce for at least 30 minutes. 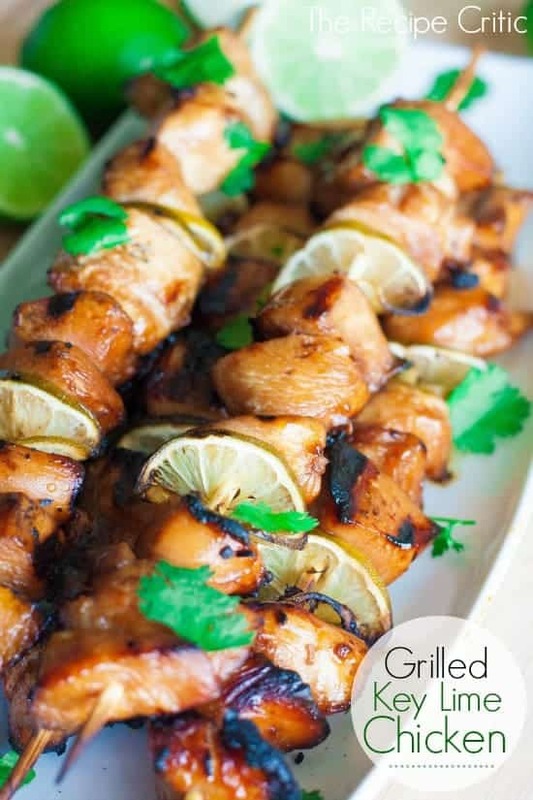 When marinated, slide chicken chunks on skewers. You can also slice thin slices of lime and fold in half and slide in between chicken. Baste chicken with sauce once you place them on the grill. Grill for 5-10 minutes on each side until no longer pink in center. I did this same recipe but added cilantro and red pepper flakes….YUM! Try it out next time. Amazing! I love all of the flavors in this! 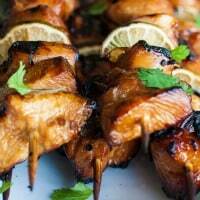 These skewers look amazing Alyssa – and so easy too! Oh wow! I’m on such a key lime kick right now…and the idea of chicken with it!! WOW! You took it to a whole new level of YUM. Love lime on just about anything! Pinning the recipe for our new lime tree that we planted this Spring; sounds amazing! Just 2 limes? That doesn’t seem like a whole lot of juice!! We made this last night and really enjoyed it. I had chicken tenderloins on hand and grilled those, instead of cubing the chicken and skewering it. I let it marinate for 6ish hours and the chicken had a nice taste to it.